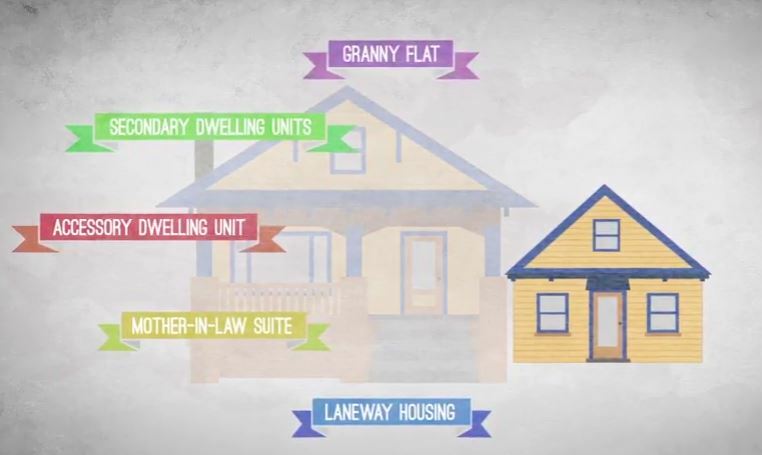 In November of 2015 the Austin City Council voted to approve a city wide change to allow ADUs (accessory dwellings units – also known as garage apartments, granny flats, tiny homes, or secondary homes) on all SF-3 zoned lots as small as 5,750 sqft in every neighborhood in Austin and to reduce burdensome parking requirements that can prevent ADUs for even larger lots, opening up neighborhoods to smaller more affordable housing in order to help address Austin’s housing crisis. Most lots in Austin fall within that size or larger. Before the vote took place the city council specified many times that this ordinance would apply to every neighborhood and there would be no neighborhood in Austin left out from being changed by this ordinance. [Transcript Below] Mayor Adler specified that 8,900 lots zoned SF-3 were between 5,750 and 7,000 sqft would be allowed to build ADUs under this new ordinance. To reach that number it would have to include Hyde Park and all other central Austin neighborhoods. Council Member Kitchen states that the city will be “lowering it to the 5750 that overrides the neighborhood planning process” and the “neighborhood planning process is being superceded.” Greg Guernsey, director of the Planning and Zoning department, confirmed “yes, you would be able to do something that may have been contrary to the plan.” Council Member Casar stated, “if you have a standard size lot you should be able to build one of these granny flats” and confirmed that no neighborhood would be left out of this change by saying, “I believe I can simplify this, there would be nobody — none of them to opt in, because they are in.” Both Council Member Casar and Council Member Tovo used Hyde Park as an example neighborhood that this ordinance would apply to and Council Member Tovo referred to this ordinance as “granting of a citywide entitlement.” Before the vote Mayor Adler goes further and clarifies that “by this ordinance change, it applies to all sf 3s larger than 5750” confirming that all neighborhoods, including Hyde Park, will allow this change by right in this ordinance. Despite the fact that the city council clarified many times that what they were voting on would apply to every neighborhood in Austin, without exception, the Planning and Zoning department is denying homeowners in approximately 1,000 acres of central Austin the right to build ADUs on smaller lots and denying the reduced parking requirements for all lot sizes. This greatly reduces the number of 8,900 lots that Mayor Adler and the city council voted to allow to build ADUs and takes away the legal rights of property owners in those areas that was granted to them by the city council. The city is claiming that when the ordinance was written by city staff after the city council voted on the ordinance they mistakenly left out language in the ordinance to amend zoning overlays called Neighborhood Conservation Combining Districts (NCCDs), meaning what was signed into ordinance was different than what the city council directed to be signed. NCCDs are zoning overlays that override base zoning districts, meaning that any zoning regulation specified in an NCCD overrides the city land development code in those neighborhoods. Most NCCDs specify that ADUs are banned in most cases on lots less than 7,000 sqft, so any property owners that live in a neighborhood with one of these overlays won’t be granted the right to build ADUs without the ordinance specifying that the NCCDs being amended, according to city staff. Because of this insistence by city staff interpreting the signed language of the ordinance differently than what the city council actually voted on any homeowner in a neighborhood that has an NCCD overlay like Hyde Park (234 acres), North Hyde Park (253 acres), North University (235 acres), and Fairview Park (119 acres) are being denied their legal rights to build an ADU. Friends of Hyde Park calls on the Austin City Council, the Planning and Zoning Commission, and the Zoning and Platting Commission to immediately resolve this issue and restore the rights to homeowners that the city council granted to them in 2015. The Austin City Council or the Planning Commission should immediately initiate a process to amend NCCDs to allow ADUs on SF-3 lots from 5,750 to 7,000 sqft or the city manager or city council should direct city staff to enforce the ordinance as voted on by the city council. If this issue is not resolved, this could create a risk of litigation against the city since what was voted on by the city council is different from what was signed into ordinance or city staff is misinterpreting the ordinance and unnecessarily denying homeowners their property rights. Friends of Hyde Park also calls on the Austin City Council, the Planning and Zoning Commission, the Zoning and Platting Commission, the Code Advisory Group, and CodeNEXT consultants to eliminate NCCDs during the CodeNEXT process. This serious problem highlights how incredibly complicated burdensome zoning overlays like NCCDs make our land development code and how difficult it is for even full time professional city planners on city staff to understand them, they worsen affordability for both homeowners and renters, reduce walkability within our neighborhoods, reduce or ban walkable amenities or local businesses, ban more affordable missing middle housing, may increase development pressure on surrounding neighborhoods, may cause gentrification and displacement in other neighborhoods, do not further the Imagine Austin goal to create “a more efficient, predictable, and understandable Land Development Code,” and may be illegal under the Federal Fair Housing Act. Read Friends of Hyde Park’s statement opposing the current CodeNEXT draft here, unless NCCDs are eliminated from our land development code. Our neighborhood association, Friends of Hyde Park (friendsofhydepark.com), is the largest neighborhood association in Hyde Park with 403 current members, has more participation of residents in our votes and stakeholder processes out of any other neighborhood association in the area, and strives to represent how the majority of the neighborhood residents feel about neighborhood issues. We allow free, secure, online voting over a 7 day period in order to allow maximum participation from anyone in the neighborhood who wants to participate. The makeup of our membership is approximately 50% renters and approximately 50% homeowners. Hyde Park residents can easily join online for free to become part of the Hyde Park community or to help create a more diverse, walkable, bikeable, affordable, and transit friendly neighborhood. For the full city council transcript from 11/19/2015 click here. Council Member Tovo: And can you help me understand the 9,000 — this reduces it to 9,000, but it seems to me we’re talking about different areas and a lot of the 9,000 fall within the central city where before we were talking about an ordinance that touched other areas of the city. Is that what you found in your research? Where are those 9,000 tracts of sf that are going to be changed by this? Mayor Adler: My research indicated that there were actually 62,280 lots in sf-2 at 5750 square feet and larger throughout the city in the sf-2. And that there were 8900 lots in sf 3 between the range of 5750 and 7,000. They are located around the city, but primarily within the more central area of the city. Council Member Tovo: That’s sort of my understanding based on knowing my district and knowing the districts that are adjacent … I’m aware of several neighborhood plans that there will override within district 9 and I would echo a comment that came up earlier. Council Member Houston: That may free up people to be able to build those units that they’re trying to do without going through this onerous process to make this citywide? But now we’re going to a citywide ordinance, which is different from my understanding of what we first were trying to do. Council Member Kitchen: Mr. Guernsey, the planning commission recommendations were not citywide in the sense that they do not override the neighborhood planning process. Am I not correct? Greg Guernsey: Right. During the neighborhood planning process the two-family residential use is not one of the infill tools and so even if you were in a neighborhood planning area and you did not select the infill tool of secondary apartment, the two-family residential use was always an option. The difference, as I talked a little bit about this in the work session in particular is when you reduce the lot size to be 5750, that was a decision that was made during the neighborhood planning process. The 7,000 was always an option in an sf 3 district or maybe some more intensive districts to build that second unit regardless of whether the neighborhood opted in or did not opt in. Council Member Kitchen: I understand that, but it’s the lowering it to the 5750 that overrides the neighborhood planning process. Greg Guernsey: It would allow that in the sf 3 district and it would have been something that the neighborhood had before had the opportunity to look at. So yes, you would be able to do something that may have been contrary to the plan. Council Member Kitchen: This relates to what I said earlier, the neighborhood plans. So I’m passing out a motion that would add language that clarifies that application of these sections of the code will not supersede established neighborhood plans that have not adopted the secondary apartment infill tool. Council Member Kitchen: I would just say that a reason I think this is necessary is because the proposal that is in front of us lowers the lot size to 5750 and those are, as Mr. Guernsey explained earlier, that creates a situation where neighborhood — contact teams and neighborhood planning process is being superceded. Council Member Casar: And what I thought was right was to say if you have a standard size lot you should be able to build one of these granny flats and also regardless of where you are if you’re sf 3 around and also that we have no election, we had a change in form of government and lots of everyday people in my district weren’t consulted and I feel like I need to respect their voices if they want to have the opportunity to send their kids to ridgetop and go to Mccallum. That’s what convinced me to do this. Not of disrespecting anybody else, but because I think that it’s important for us to not block people off from having those sorts of opportunities, to live where they want to live. That it’s not disrespectful, but it creates vibrancy and makes neighborhoods better and the fact of the matter is me having to represent what I think is best for the city is taking a moderate approach and a moderate approach seems to be a 5750 standard size lot is where you can build these ads in lots of parts of the city and it seems to work pretty well. And why would we say that specific lots, 7,000 specific lots in some of our best, most desirable, beloved neighborhoods, we should keep folks out of them. Council Member Tovo: I’ve got countless emails from one neighbor in Bouldin creek talking about the flooding that is happening on his lot every time it rains because of the infill that’s happened upstream from him. I have a video that we can run at the appropriate time of one of the avenues in Hyde park which has not adopted an infill tool, running water and lots of flooding that has happened over memorial day and other areas. Council Member Garza: I guess that’s a concern. I’m very sympathetic to the neighborhood plans because I understand a lot of work has been put into neighborhood plans, but there could be an equity argument of not all — I don’t live in a neighborhood plan and it’s because people in my district, they didn’t have the time or they didn’t have the — you know, they’re busy trying to work several jobs to pay bills and they weren’t able to organize to have a neighborhood plan. And so — I don’t know. This one is a tough one because I’ve also — my understanding from the — I think it was the Zucker report specifically addressed the opt in, opt out system and said the approach was overcomplicating the code. So — and it speaks about how it has added a layer. So, you know, I guess this can be framed as we’re disrespecting neighborhood plans, but we’re in such — we’re in a situation where this council has to make some really hard choices, really hard choices on our land use to try to solve some very, very complicated issues. So I guess those are just some of my concerns with the opt in, opt out option. Council Member Kitchen: So that’s my concern about going forward with this in a way that ignores the neighborhood planning process. I didn’t mean to overstate that, I know nobody on this dais, including councilman Casar, I didn’t mean that in any personal way, I just mean because of the current process that we have in place, we are, in effect, breaking a promise and we’re doing that without a full — without any kind of analysis and without any kind of Ip Ip — input. week, I recognize there were a lot of people on this dais ready to vote for sf 2 as part of this, over 70,000 lots, we have an agreement where we reduced that back to about eight or 9,000. I’m going to vote against this as part of my commitment associated with that. Any further discussion? Council Member Casar: Councilman — councilwoman Houston and councilman Renteria, I hear you. This would restrict several thousand lots at least from the maps I’ve seen almost entirely west of I-35 and Hyde park, those parts of town. Speaking of grassroots planning, we can all have different opinions on how that works, and the grassroots that I have talked to not just in my district but around the city that are looking for somewhere to live, even if the neighborhood plans aren’t drawn specifically with an intention to exclude folks, if the effect is for prices to be so high and for vacancy to be so low that folks [lapse in audio] And having an opportunity to live where near they work or to live in the neighborhood where they are — where their friends or family is and to find, yes, not necessarily a subsidize granny flat but somewhere that’s renting at significantly lower rates than other places in the neighborhood. And I think the mls data has been shared with everybody here. You can find 750, 800, $850 a month granny flats in 78751. It makes sense, and that’s where I’m coming from. I understand that folks will disagree with that, I respect your opinions, but that is where I’m coming from on a grassroots planning perspective. Council Member Tovo: I would ask our staff if they would just run the video. And to me, this is an example of why we allow input from our neighborhoods whether or not they’re in a planning area, to provide us with information, if it floods around the area by waller creek. This is avenue a, I believe, around 40th. I’m looking at one of our respects — residents out there. Is it avenue a or H? I’ve forgotten. It was avenue a around 40th street. As they’re considering the infill tools, it was not in my assessment, an attempt to keep renters out, renters are welcome and very present throughout the areas certainly in my district, and it was not a dispute over accessory dwelling units. Accessory dwelling units are allowed on any sf 3 lot that is 7,000 square feet or more. Which is not true in many of our city that have sf. 2 zoning. So this was an attempt to allow some degree for those areas with and without neighborhood plans. Council Member Tovo: it was to change from the granting of a citywide entitlement to an opt in/opt out process. Council Member Garza: I can’t support any opt in/opt out. I feel like if the majority of the neighborhood doesn’t want adus, there will not be adus in the majority of that neighborhood. Council Member Casar: I believe I can simplify this, there would be nobody — none of them to opt in, because they are in. Council Member Kitchen: Unless we change that, you know. That’s what I’m saying. Mayor Adler: But we haven’t yet, which is why the sf 2 provides. Sf 3s are already in by virtue of the base motion. Mayor Adler: Yes, because sf 3s are already allowed by this ordinance to opt in. By this ordinance change, it applies to all sf 3s larger than 5750. ← Is Hyde Park “Exclusively for White People” Again?